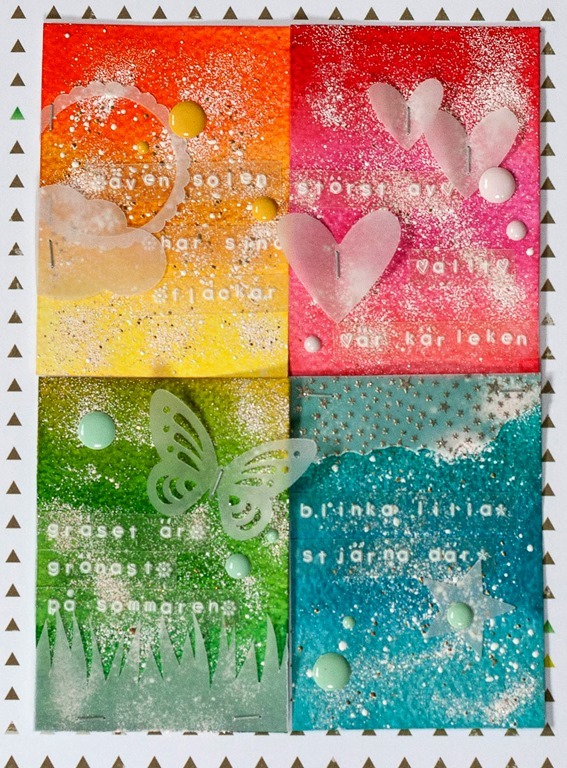 This month for En liten butik we have a ATC-theme in the blog. I know a series should be 6 or 8 cards but I ony had enough of my thick water color paper for four so that’s what I made. I used color as a starting point and made some blended very bright colorful backgrounds. Then I sprinkled some embossingpowder on top and printed some texts with my dymo. 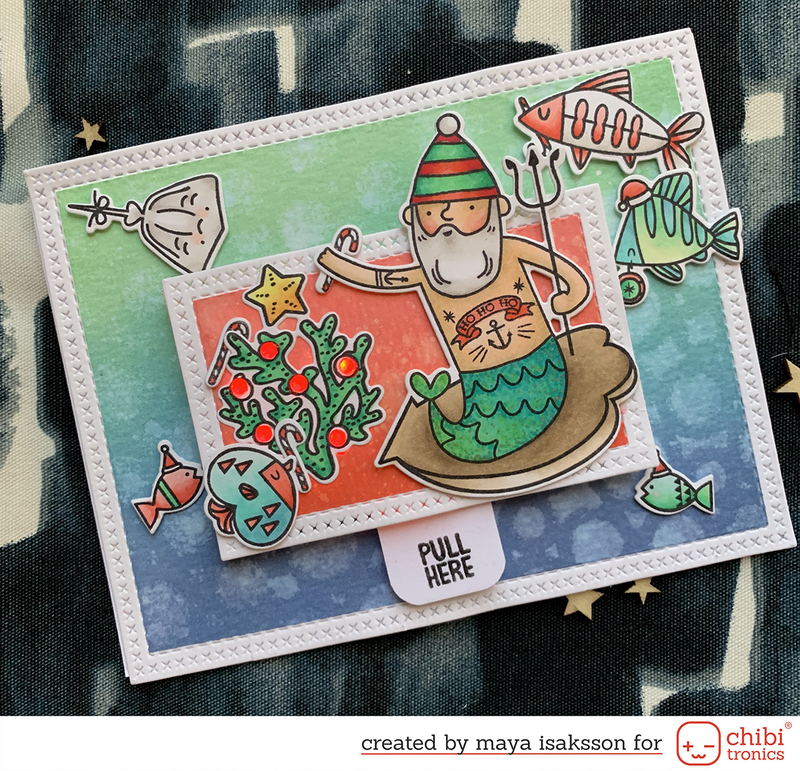 I decorated all of my cards with vellum and enamel dots. 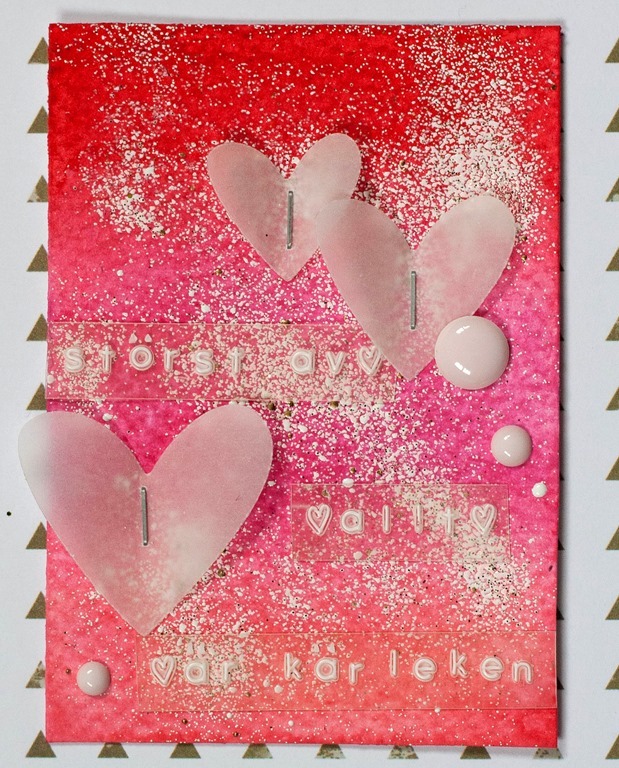 The pink card says “And greatest of all is love”. 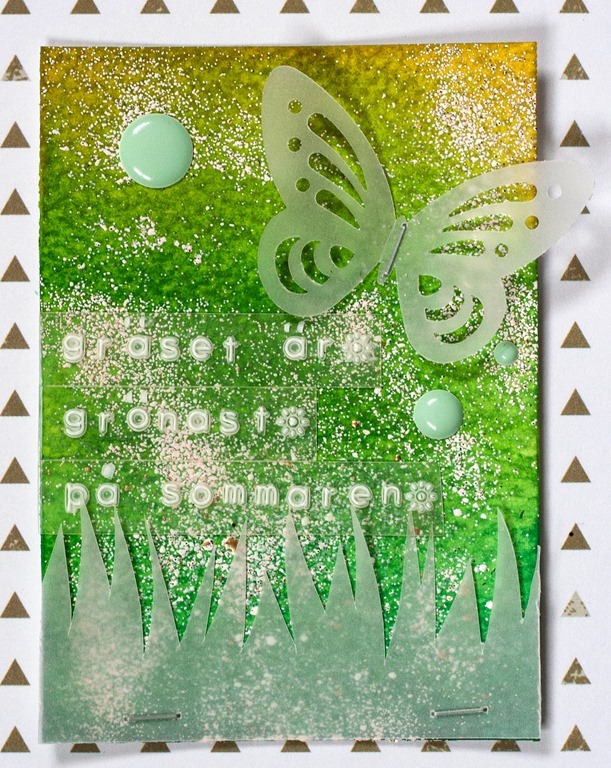 The green one says “The grass is greenest in the summer” (I know, it’s obvious but that’s what came to mind). 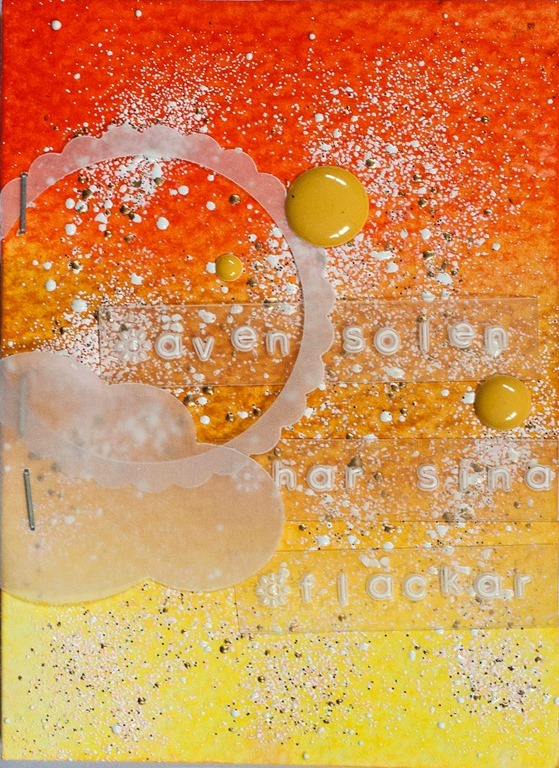 The yellow/orange one says “Even the sun got some spots”. The blue one says “Twinkle twinkle little star”. I had fun making these and they are very pretty together. All that color is very bright and makes me happy :) Thanks for stopping by!